Do you consider yourself an explorer? If so, do you sometimes wonder where the spirit of wine exploration has gone? 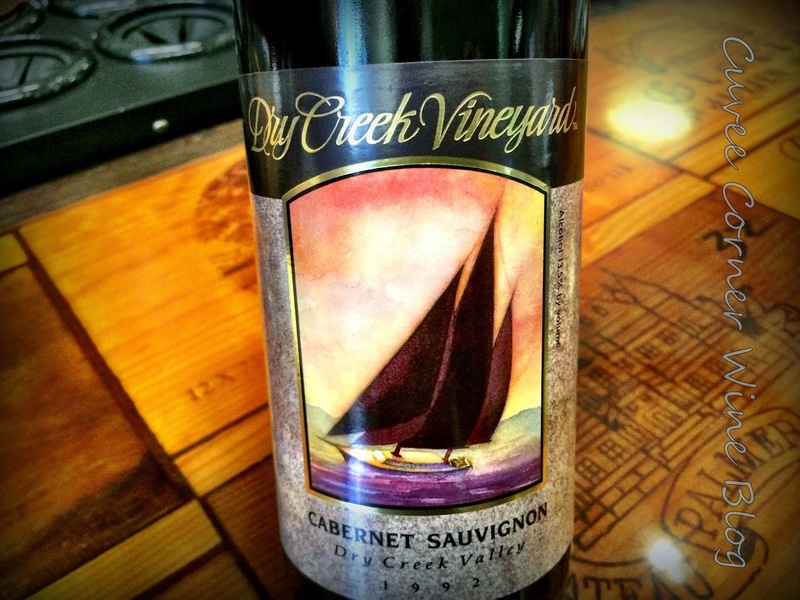 It's a thought on my mind these days; as I now quietly sit behind this computer screen recalling the fond summer memories discovering a region I'm sure most of you are familiar with but do you really know Dry Creek? When is the last time you just drilled down deep into a wonderfully diverse sub-appellation known as the Dry Creek Valley? I think it's one of the best ways to discover new and exciting wines, winemakers and places to hang out in these regions. Many of you locals may know [seen below] this already, but I found this great spot to enjoy lunch, a short drive away, with shade, where you can hear the not-so dry creek babbling in the background and perhaps even get a look at a few fish swimming by on a lazy afternoon. 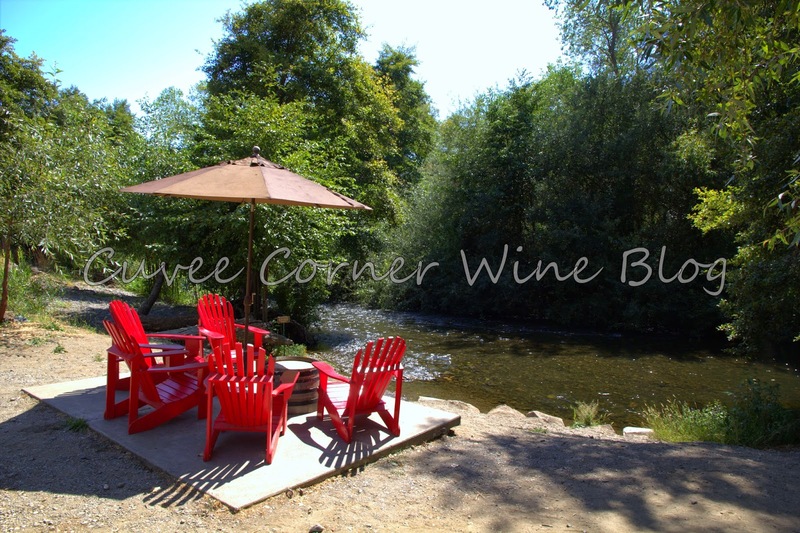 Dry Creek Vineyard fans, please don't take this suggestion the wrong way, I know DVC also has a very nice picnic area to enjoy as well, minus the creek. Many of you may know, that just a short five days separated me from one trip ending and another beginning back in 2014. I wasn't back home any sooner than 5 days, before departing on another great wine adventure to Champagne. Which is why you'll see a bit of back and forth covering both regions. Since then, I've posted countless stories about wine related discovery to Oregon, Santa Barbara, and even Lodi was included in the coverage. This article is a throwback Thursday post, one I found very exciting and wanted to share once more. I spent a few amazing [and they were breath taking] days discovering Dry Creek, thanks to an invitation extended to me by the Winegrowers of Dry Creek Valley. I came away with some new impressions of the vine-scape there, and some exciting new discoveries. It really is quite the diverse region, I know many folks think of just one thing by and large, and that is Zinfandel. I think that is fair, but if that is your only impression of this region, you're sadly missing the boat. Because as I discovered, there is a lot more to the Dry Creek Valley, than meets the eye. 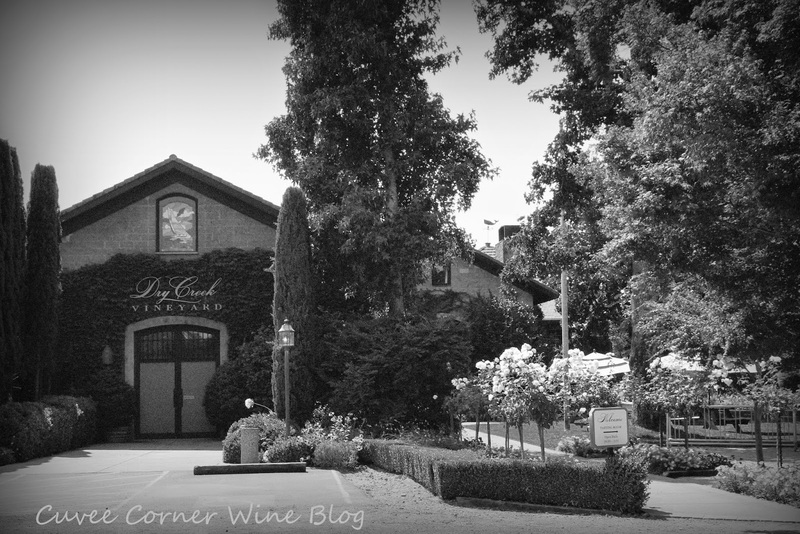 My visit to Dry Creek Vineyards was not part of the planned itinerary, but seeing they were having a library tasting, I thought this was the perfect opportunity to see how well the wines of the Dry Creek Valley age. 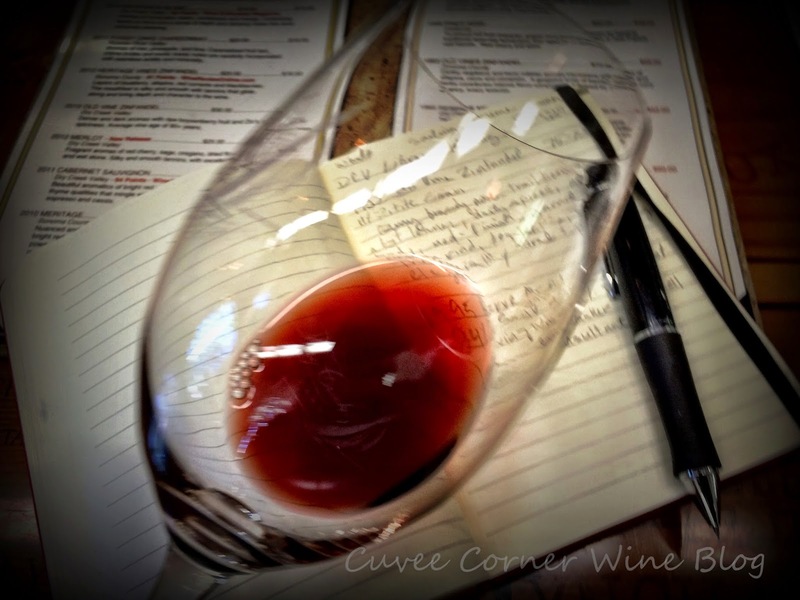 Here are the tasting note and scoring part of the article. If you're anti-score just imagine the numerical scores are words like good, very good and/or yummy. For everyone else who's not going to wince or get squeamish over seeing a 'score' associated with a wine review, then please take note. My general impressions of these library selections ranged from good to very good, with just one stinker. I recommend that you grab a few to fill your cellar. Although I do think the price of admission is a bit on the steep side of the equation, something which would temper my purchasing resolve. 1988 Sauvignon Blanc Fume Blanc $50: Barrel aged, 5 months. Aromas of oxidation nearly knock you over and make the anticipation for what is in the glass, less than a thrilling. This wine has gone over the hill, baked flowers, dried lemon peels, burnt sugar and vanilla flavoring. Skip this one, this is the stinker I eluded to earlier. But if you want a delicious SB from DCV, then I'd go with their current release 2013 SB, and sells for $15 at wine.com. I sampled it recently and it's a sure bet. My Score: 75 points. 1999 DCV Pinot Noir $60: Jumping in here, right away you see from the label, it says "California" meaning the grapes could be from anywhere in the state. But when I asked about where the fruit was sourced, they admitted it was mostly Carneros and Sta. Rita Hills fruit. So there won't be any aging indications gained from the review of this Pinot Noir. It spent 11 months in French oak, it was lightly garnet colored in the glass, heading toward brick on the rim. On the nose, it was a bit oxidized, but it wasn't overwhelming. Looking past the oxidation, dried cherries, baking spices, and a wet tea bag aromas linger quietly. The body has a very light and lean presence, I let this wine linger in the glass much longer than I would, a fresher wine to see what would jump out with a bit of air; taut cranberries, cherries, wet-earth, orange rinds, cedar, and other floral flavors smoldered quietly. The body was a medium minus, and the tannin completely melded into the background. Still very tasty, but at $60, the price of admission is a bit steep. My score 88 points. 1993 DCV "Old Vine" Zinfandel: It looks like I missed writing down the price for the wine, but this wine is at least a bit closer to home, the grapes are sourced from Sonoma County. Home to some pretty old vines, like 75-100-year-old vines sourced to make this wine back in the go-go nineties. Possibly aiding this wine with a bit of color and backbone, this wine had 11% Petite Sirah blended into the back end of it. In the glass, again a very light, garnet color, heading toward transparent. On the nose, cherry brandy, floral, and brush trail aromas waft out of the glass easily, seducing you. On the palate, it's very light and lean, dusty baking spices, tea leaves, orange rinds, dried blackberries. The tannins are completely melded into the background, and the finish is quite lovely and lasting. My score for this wine is 89 points. 1995 DRV Reserve Merlot Dry Creek Valley $65: This is where the rubber meets the road, the fruit sourced from the Dry Creek Valley. They moved away from the "reserve" model on the label, realizing there was no legal definition of the term, so it was meaningless. They instead opted to use Single Vineyard Designate, which signifies any wine wearing that tag, as being a step up from the other wines which are produced from many different blocks and sites. Back then it was Larry Levin, making the wines in the nineties and currently, they have Tim Bell leading their wine-making ship. This wine was perhaps my favorite in the lineup that day, sporting a Bordeaux like blend, 75% Merlot, 24% Cabernet Sauvignon and 1% Petite Sirah. A darker, ruby color in the glass, baked cherries, cedar, and light plums tickle your nose. This wine coats the mouth sumptuously, dark, ripe plums, the baked cherry theme continues, vanilla, toast, baking chocolate, and a tightly wound Cuban Cigar, just pulled from its case. Still has a solid structure, elegant tannin, and the finish goes on and on. I could almost talk myself into grabbing a few of these, very delightful, and drinking amazingly well at the moment. My score on this wine 93 points and worth the price of admission. Does this wine answer the questions about the aging potential of the Dry Creek Valley, perhaps, but it is a good start, seeing this wine turns 20 next year. 1992 Cabernet Sauvignon DCV, Dry Creek Valley $75: A twenty plus-year-old wine, easily holding its own nicely. You'll want to uncork early and decant to unlock its myriad flavors and unwind the layers of time. In the glass, still a dense ruby core, and turning garnet color on the rim. The nose is a bit reticent, it was not ready to make its debut. But if hard pressed, I could come up with cracked, dry-earth, baked plums, dry-baking chocolate, and white pepper. Again this wine is wound pretty tightly, medium minus mouthfeel, and excellent grip. The fruit is not too giving, dark plum skins, spices, tar, and finishes dry, and clean. I was not overly impressed with this wine, but I couldn't find any flaws either, it just was not a style I prefer. just too rustic, a bit too bare bones. It could improve with further decanting, but I'm not sure it's worth that much effort. My score for this wine 87 points. 1998 Reserve Cabernet Sauvignon, DRV, Dry Creek Valley: Argh, again I failed to write the price down for this wine, but I'm sure if you call they'd be glad to find the price for you. I checked their website but found no place which listed any of their library wines. In the glass, throwing lots of sediment a light ruby core and a brick-like garnet color. The nose is quite fragrant, sporting ripe plum, licorice, and cedar aromas. Highly polished well-integrated tannins. I found this wine round and approachable right away, toasty oak, vanilla, candied orange zest, dried cherries and plums, aged premium cigar tobacco and parched earth. The finish is long and lasting. My score for this wine is 89. From this quick experience, I'd have to conclude the wines of the Dry Creek Valley do have some pretty lovely aging potential. I sampled all these wines at their tasting bar in the Dry Creek Valley when I asked if there was a charge, they said because I was a guest of the WDCV, my tasting fee of $20 would be waived. Did you know that there is far more Cabernet Sauvignon planted in the Dry Creek Valley than any other grape varietal including Zinfandel? You can expect to see quite a bit more coverage on this region in the coming weeks. Until next time folks, remember life is short, so remember to sip long and prosper cheers!